Samsung Electronics South Africa has donated 31 smartphones to non-governmental organisation (NGO), Gift of the Givers South Africa, in an effort to support communications within the association’s emergency teams. 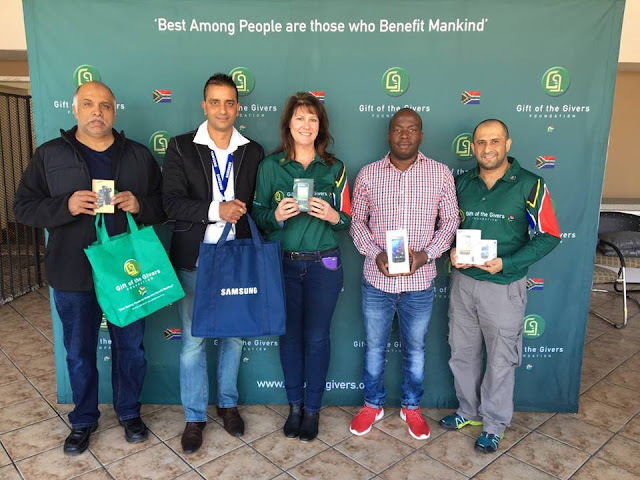 Badr Kazi, Corporate Liaison Manager at Gift of the Givers South Africa, says that advanced and reliable mobile connectivity is crucial for the organisation’s various specialist teams. “When our workers are assisting at the scene of a crisis, effective communications is quite simply a matter of life and death,” he says. Samsung donated a range of handsets with features ideal for this nature of critical work. Among them were the Galaxy K Zoom, a phone-camera hybrid with 20.7 MP camera ideal for recording and sharing information about critical scenes and the Chat 333, with automatic chat group features ideal for collaborative communications by teams. 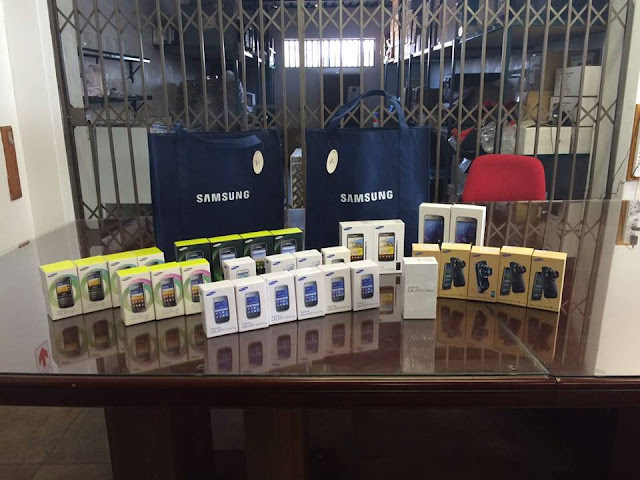 “Samsung smartphones’ durable design, broad range of intelligent features and long-lasting batteries will make them invaluable tools for supporting the important work Gift of the Givers rescue teams carry out. We always aim to be a catalyst to the betterment of people’s lives and are particularly proud of this initiative due to its potential to positively impact so many,” says Michelle Potgieter, Director: Corporate Marketing and Communications at Samsung Electronics South Africa. Gift of the Givers has a large team comprising of disaster, emergency and ambulance services units. The response workers, led by Head of Search and Rescue Dr Ahmed Bham, have attended serious incidents around the world, including launching field operations during the aftermath of Super Typhoon Haiyan in the Philippines and setting up hospitals in Syria. “We are extremely grateful to Samsung for this donation, which will go a long way to ensuring our workers are able to operate effectively in affected areas. Our management services will benefit greatly from advanced mobile capabilities we now have access to,” continues Kazi. “Samsung Electronics is a company that makes incredibly smart devices in an effort to simplify the everyday lives of people globally, as well as a responsible corporate organisation and active contributor to our communities. This partnership embodies our ethos and commitment to these values,” Potgieter concludes.